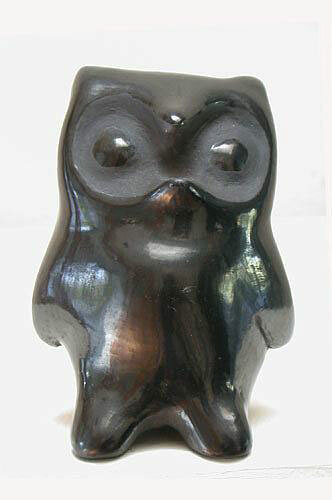 2) The second, is a sculpted effigy in the form of an owl, with deeply carved double ovals in matte black finish, around the circular eyes, highly polished overall. 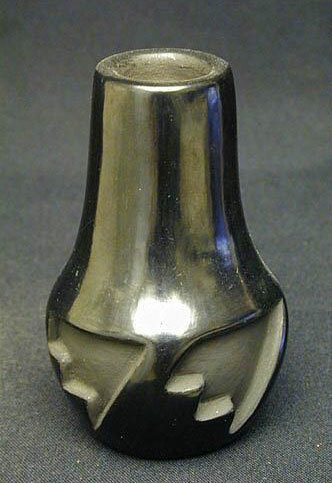 The figurine is hollow, with opening on the base where it is signed: "DG", Dorothy Gutierrez, Santa Clara Pueblo. The jar was created by Belen Tapia, a well-noted artist of Santa Clara Pueblo, active in the mid-20th Century. 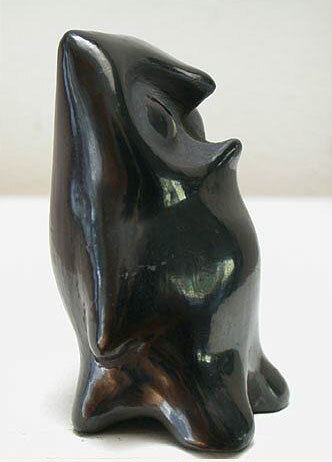 The owl was probably created by Dorothy Gutierrez, from a famous family of artists in Santa Clara Pueblo throughout the 20th Century. 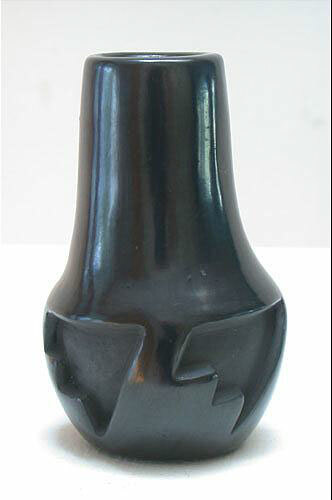 The miniatures are highly desirable as they are unique and rarer than the more common larger blackware ceramics.